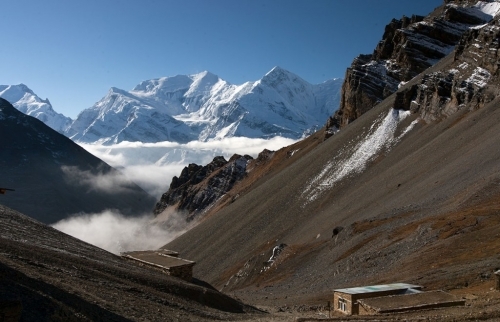 Annapurna Base Camp Trek - A famous trekking trail in Nepal. 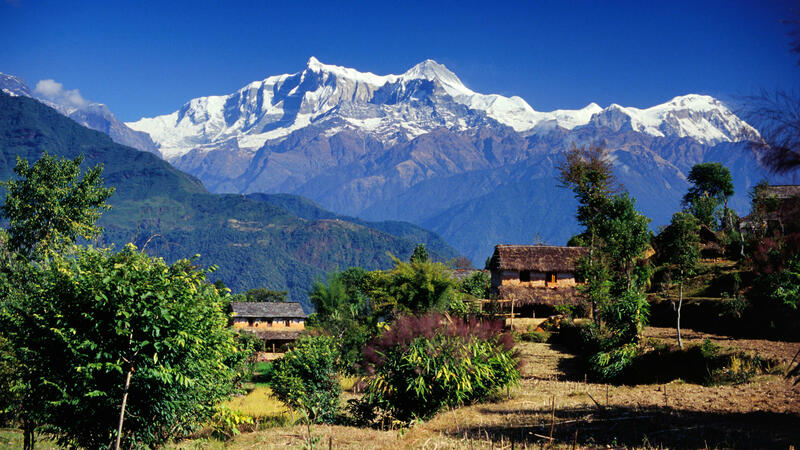 Annapurna sanctuary trek is another well-known name of Annapurna Base Camp trekking which is surrounded by the ring of high mountains above 7000mtrs. The gorge, made by Modi Khola in between two famous mountains of Annapurna range of Nepal Himalaya called Machhapuchchhre (Fishtail) and Hiuchuli, is the only one way to enter in this paradise. The matchless combination of height and depth, nature and culture as well as flora and fauna proves its name ideal to call as sanctuary. The south facing slope of the sanctuary is covered with dense of tropical jungle of rhododendron and bamboo, in other hand, dry rain shadow area with colder climate similar to the Tibetan plateau, in the north. The sanctuary get only 7 hours sun even in summer days. The sanctuary is known as the sacred land of the Gurung people, who were the only people to inhabit this area in the past. Sightseeing into the major places of tourist interests around Kathmandu and Pokhara valley. Visiting typical Gurung village of Ghandruk and learn their typical culture and lifestyle. Spectacular mountain views and impressive sunrise from Poonhill. Impressive view of Annapurna Glacier and 360 digree mountain view from Annapurna Base Camp. Walking through the gorge made by the Modi Khola between Hiunchuli and Mt. 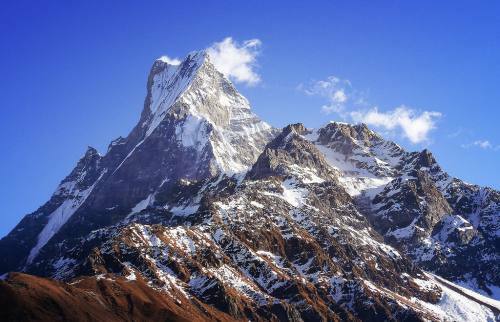 Machhapuchhre (Fishtail). 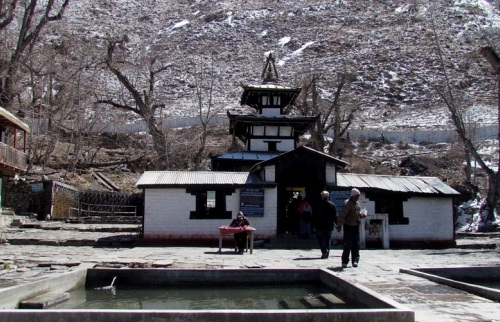 Enjoy the bathe in Natural hot spring at Jhinu Danda. Awe-inspiring sight of Fewa Lake and Himalayan panorama from Sarangkot. Day 02 :Rest and preparation day. Day 03 :Drive of fly to Pokhara. Day 04 :Drive to Nayapul and trek to Tikhedhunga. Day 05 :Trek to Ghorepani. 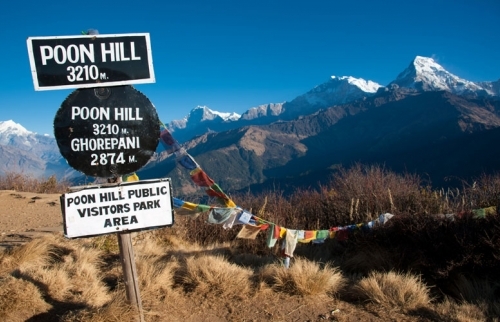 Day 06 :Hike to Poonhill and trek to Tadapani. Day 07 :Trek to Sinuwa. Day 08 :Trek to Deurali. 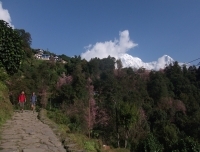 Day 09 :Trek to Annapurna Base Camp. 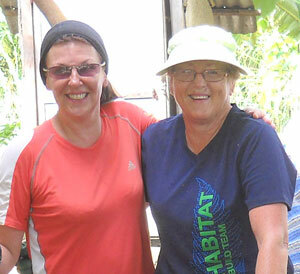 Day 10 :Trek back to Bamboo. Day 11 :Trek to Jhinu Danda (hot spring). Day 12 :Trek to Dhampus. Day 13 :Trek to Dhampus Phedi and drive to Pokhara. Sightseeing at Pokhara. Day 14 :Drive back to Kathmandu. Day 15 :Sightseeing in Kathmandu. Hotels in Kathmandu and Pokhara on BB plan. Guided City tour in Kathmandu and Pokhara. All standard meal during the trek (B/L/D). Lunch and dinner whilst in Kathmandu, Pokhara and other major cities. Note: If Above fixed departure dates are not suitable for you please feel free to request a new date which suits to you better, we guarantee to depart your trip on your requested date. GUARANTEED This date is available, open for booking and guaranteed to depart. LIMITED There are a very limited number of available places on this departure. Immediate booking is recommended. CLOSED This date is currently unavailable; either because of no available place or there is time limitations to take booking. If you are interested on this date please contact Broad Adventure. Package Map - Annapurna Base Camp Trek - A famous trekking trail in Nepal.